Benjamin Blanchard and Thadius Hawkins were students at Louisiana State University when they met while working at an apartment complex in 2003. Blanchard was a leasing agent, and Hawkins served as maintenance supervisor, managing the subcontractors for the property. After a busy summer, the two began talking about the lucrative student housing painting business, and decided to start their own company the following summer. Then in 2007, they launched Prestigious Painting & Resurfacing in Baton Rouge, LA. Today, the young business owners, who employ a team of 45, have achieved great success in the residential, commercial, and multifamily housing painting and resurfacing industry. Co-owner Blanchard shared his thoughts on the nature of student housing work, the unique bidding process, emerging trends, and the qualities he looks for when hiring pros. Q: How does your approach to student housing work differ from other types of housing projects? A: It’s so different than any other type of work. For student housing jobs, we offer three different proposal options, depending on the size and floor plan, along with the specific needs of the unit. For instance, we offer full paint, partial paint, and touch-up paint options that include walls, baseboards, doors and frames. Q: What steps do you take to ensure work gets completed on time? A: We train people and finish each job in a very timely manner because we only have a few short weeks to paint before new students move in. Therefore, we hire one person who is responsible for a given apartment complex and pay on productivity; according to the number of units completed, which provides incentive to get the job done. Q: How competitive is the bidding process? A: It’s extremely competitive and can also be more complicated than other types of projects. You need to know what you’re getting into and be aware of the specifics of the floor plans, such as the ceiling height and whether there are panel doors versus flat doors, which all play into the bid. It’s also important to prepare the proper onboarding questions so you know certain things in advance—such as what type of paint is used and if the beds have headboards, which can contribute to grease and staining—in order to fully understand what you’re going up against. Additionally, there may be other hurdles such as units that are furnished or ones that are occupied by students, so you need to take everything into consideration. Bids can go up or down depending on the circumstances. We’ve developed bidding software that allows us to enter up to 1,000 different services that are specific to each property and gives us the opportunity to produce a much more accurate bid. Q: What influences coating choices for student housing? 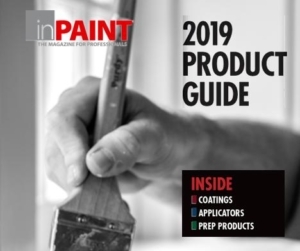 A: Many multifamily housing projects are owned or managed by national companies who purchase paint from one large vendor, like Sherwin-Williams, who then provides a significant discount on their products. These types of properties provide the paint, typically a flat paint for use in the bedrooms and a glossy paint in the kitchen and bathrooms so the walls can be easily cleaned. It’s a smart move because it would otherwise be hard to match colors if the paint changes year after year. It also prevents contractors from altering the paint. Q: Are there any unique challenges or aspects to this type of work? A: The biggest challenge is that it’s seasonal work that occurs from the end of July through mid-August. Sometimes, if we’re lucky, we get units that are available in June, allowing us more time to train painters. We also hire three times as many painters in the summer and then no longer need their services, so it’s sometimes hard to find the right crew who has that kind of flexibility. Q: Is the work typically a fixed bid or time and materials? A: We always pre-walk the property and prepare a service agreement based on each individual unit. Sometimes there will be an unexpected additional charge such as the need to patch a hole in the wall. We’ll break up those line items and add it to our bid. Our painters must review and sign the supervisor’s notes so everyone agrees to the terms of the project, and expectations are clearly set so payment is not only timely, but accurate. Q: What do you see in the future for student housing projects? A: This type of work will always be available; it’s not going away. People will constantly move in and out of student housing. It’s just the nature of the growing business. If you’re looking to add student housing projects to your portfolio, you should be aware that it requires a lot of liability and workers’ compensation insurance, and you must meet stringent compliance specifications. Q: Is it a growing part of your portfolio? If so, what are your plans for pursuing more work in this area? A: Honestly, this is more of a shrinking area of our portfolio. We now mostly specialize in residential work. Although we are growing our scope of multifamily properties, we are not focusing on collegiate-specific properties. In fact, we are currently working on only two of these projects. Fortunately, we have the right people in place who provide us a great foundation to grow our business. Q: Are there any character traits of crew members that are especially well-suited for this type of work? A: Because we don’t have much time to spend on recruiting pros, we look primarily at skill level. We hire approximately 100 temporary paint contractors over the summer, drawing pros who have an interest in the job and respond to an ad. Initially, we ask about their experience. We can learn a lot about a pro based on knowing something as simple as the type of brushes they prefer. We then bring in candidates to a job for a skills test and ask them to paint a baseboard freehand. We watch the way they dip and hold their brush and their overall paint application. Once hired, our most skilled painters offer on-site training before we send the [new] contractor out on their own. Since it’s a temporary job, we provide a very detailed document that lists all the items that need to be completed before signing off on a project. This holds the pros accountable, and helps us find quality people.